Apparently we here in the Northwest are getting the heat the rest of the world is lacking. It’s downright summery these days! 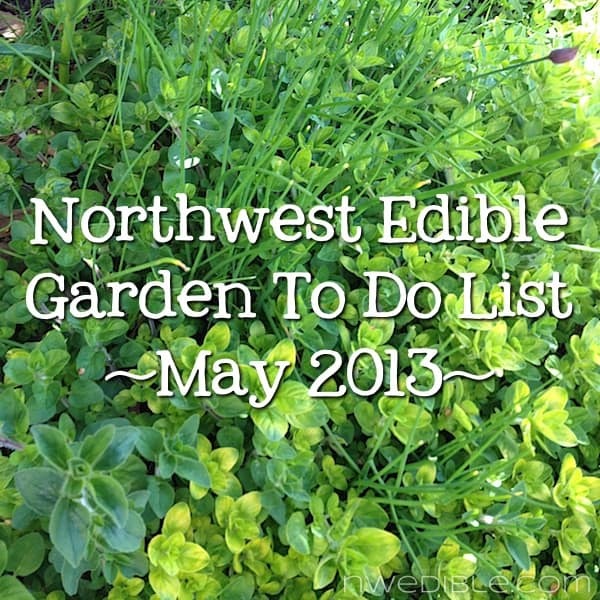 So, with sun on your shoulders and soil rapidly drying out beneath your feet, what needs to be done in the NW Edible Garden in May? Warm season edibles-tomatoes, peppers, beans, eggplant, melon, cucumber and corn-are in the nurseries and everywhere now. If you missed it last week you might like my post on how to spot and avoid a crappy seedling. 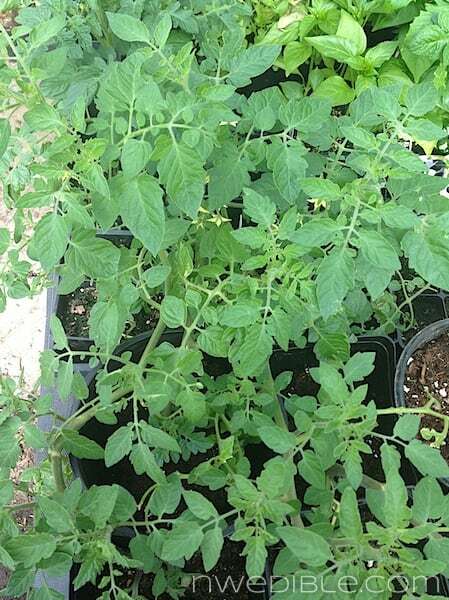 It’s tempting to buy the larger size transplants, but a 4″ tomato and a gallon tomato may be only a week growing difference and often smaller plants establish and transplant better than older ones. So feel ok saving some money. It’s hard to believe, but it’s time to start thinking about the fall garden. Yes, I know: you don’t even have the summer garden planted. 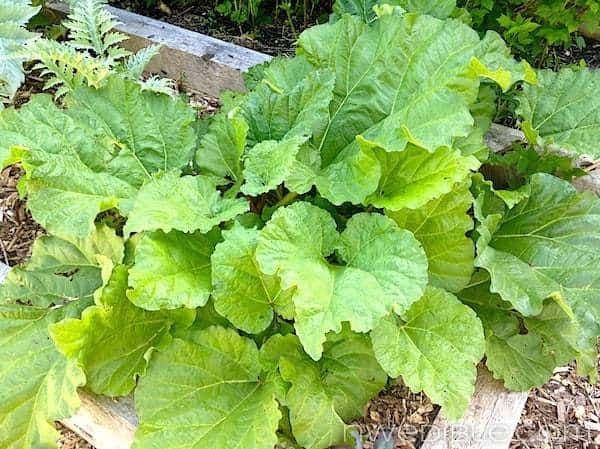 Just keep it in the back of your head that many of the fall and winter crops like Brussels Sprouts and some of the long-season cabbages mature veeeeerrrrry slowly, and will need to be started in June or early July. So start thinking about your fall crops and make sure you have what seed you’ll need and what garden beds you’ll want when the time comes. My new preferred method is to direct sow these crops under clear plastic and rely on the increased soil temp to give me strong and early germination. Given the strong warm trend we are seeing here in early May, I’d say direct sowing is the way to go this year. 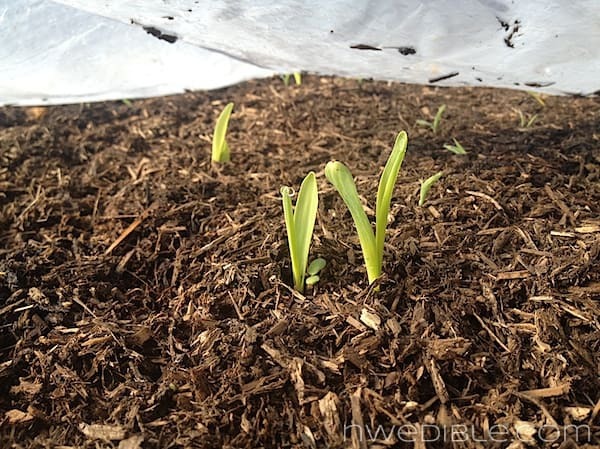 Beginning germination from corn sowed under plastic. Corn – Generally I’d say wait until mid-month, but if all this sun has warmed your soil considerably, go for it now. Remember corn is wind pollinated, so for successful ears you need to sow it in blocks, not rows. My old-timer veggie gardener neighbor tells me that a 4 x 4 block (16 total corn plants) is the minimum for reliable pollination. Swiss Chard – I plant a whole 4 x 8 bed of chard every year. Love it! Potatoes – Still fine to plant through May, depending on when you want to harvest them and what variety you grow. I’ve planted short-season Yukon Golds as late as June. I don’t think you can ever have too much chard. Summer transplants including peppers, tomatoes and squashes can, with a hope and prayer, start to tentatively move out to the garden this month if you are cloching and careful about overnight lows. But those sunny days will fry your transplants fast if you do not sufficiently vent your cloches. Constant cloche vigilance! Peppers are more tender than tomatoes, so I generally set mine out into the greenhouse mid May but this month I am a wild woman and have them already transplanted into a cloched bed. Crossing fingers. Squash transplants will need protection from low temps and slugs. It’s tomato transplant time, but watch overnight lows. Salad Greens – new crop lettuce and spinach are tender and delicious. Asparagus – mine’s coming up. Gardeners in slightly warmer microclimates or those with very sandy soil might be harvesting already! Spring cauliflowers – We’re done with our overwintering caulis this year but their are varieties just heading up now. Sprouting Broccoli and Brassica Florets– My sprouting broccoli is just about over this year, but I can still use the greens like collards. A few of last years kale plants were giving me lovely florets and starting to bloom until a few days ago when I had to yank the plants to make room in the bed. Bees love those yellow brassica blossoms, so if you have room, leave your bolted brassicas alone as long as possible. Chard – Last year’s sad neglected chard plants have popped! They look great right now, but will likely go to seed very soon. Kale – If you planted your kale early, it should be large enough to harvest from. Herbs – chives, tarragon, lemon balm, mint, parsley and cilantro are all coming up. All the woody herbs are putting on lots of new growth. I’m swamped with oregano. Time for Rhubarb Crisp, I think! So, how does your May garden grow? I use tall bamboo stakes and twine and they grow up and never have a chance to get down to the ground. This method helps me grow other things in the soil under the plants. Did you work a Harry Potter reference into a gardening post? WIN! wow is that chard from this year already? my unprotected overwintered chard is sprouting! also harvested neglected potatoes before they sprouted into a potato plant. I’m debating if it’s too hot to transplant.. suppose to be 30C here in Nelson B.C all week. There seems to never be a happy medium here, and the past 2 Junes have been chilly and super rainy so I was planning on putting the heat lovers in the ground this May instead..
We had asparagus for dinner! Well, only three spears each but it is a start. The greenhouse is giving tender spring greens, 3 small 3×3 beds that can be protected from deer are seeded in salad stuff and coming up. Big brassica starts are remaining in the greenhouse. It is indeed too hot to transplant them. Typical farmer, never happy…….. Thank you for all the great articles. I’ve been frequenting here the past couple months, read a bunch of previous articles, and have learned a lot. We went to the Seattle Tilth sale over the weekend, and among other things bought some tomatoes and eggplants. Based on this articles, it sounds like we need to change planting plans. One option is building some cloches, but the planned spots are scattered across 3 beds. The other options are shuttling the plants inside and outside over the next couple weeks, or possibly setting them in front of our picture window (south facing, maybe 3 hours of direct sun per day). With the latter options, I’m concerned that they’ll soon be too big for the little greenhouse pots they were grown in. A couple of the tomatoes are about a foot tall already, the rest about half that. Would 4 inch pots be about right? The other plants are basil, onion, marigold, nasturtium, cabbage and comfrey. It sounds like all of those can go out after a period of hardening off, correct? Any advice you can provide would be most appreciated! FYI, we’re near the top of a hill between the downtown sections of Kirkland and Redmond. I’m guessing we’re a bit hotter during the day and a bit cooler at night. Maybe wall-o-waters for your tomatoes? Thank you for the suggestion. We might have use for those later as well. I’m planning on building a couple low tunnels in the fall, but there might be some plants outside the beds which will have those. I think I’m finally getting the hang of gardening in TX. (I know that was a dangerous statement and I’m running around the place knocking on wood like crazy!!) But, for the first time I got my peas in early enough to be harvesting the first few pods and the plants are four-five feet tall and loaded. So–if the 100 degree days just hold off a while more I may even be able to freeze a few. The drought has been such a problem that I was really excited when I read about hugelkultur and now have three built and we’re working on two more. I planted a pomegranate in the first one and I swear it started singing with joy. Took only a week for that scraggly, bare little thing to be covered with glossy, healthy leaves and double in size. My four year old chard is starting to sprout all kinds of extra leaves along the stalk under the big leaves; also, what look like pups next to the big, old plants. My dearest hope is that I’ll have tomatoes this year. I had a couple of 12–yes, twelve–year old seed packets and planted them very thickly in starter pots. Much to my amazement, I believe every seed came up! Now, if they just make something of themselves. Usually, the HOT weather comes and they just quit until the end of September. So, this year, they are planted in a hugel with two blackberries and beans. It will get afternoon shade and maybe they will be happy. I do know I can grow eggplant and okra and sweet potatoes, so we won’t starve. Lots of other strange and unusual planting experiments this year, too, but this has already run on far too long. Perhaps you could use some cloth to reduce the sun intensity on the tomatoes. The first hailstorm might be the end of that, though. I think the pecan they’re planted under the edge of is going to be enough. Now, I’d better go knock on some wood–maybe the pecan? Spring has finally sprung here, and I’m getting a late start on things this year. I hadn’t considered that the smaller tomato (and I guess other store boughts) transplants better than the larger ones. Thanks for all of this info. Alrighty, the other day I decided to transplant my toms outdoors (cloched), but I felt kind of odd doing it so early in May…. but then again, the weather has not been typical here. I put my peppers out too. 😉 I’m hopeful… but I’d be lying if I said I wasn’t at least a teeny bit worried about those little guys out there. I always feel better once things start really growing and I can breathe a sigh of relief. No such thing as too much chard. Also a new garden favorite is red russian kale. looks awesome in the garden and is slow to bolt. 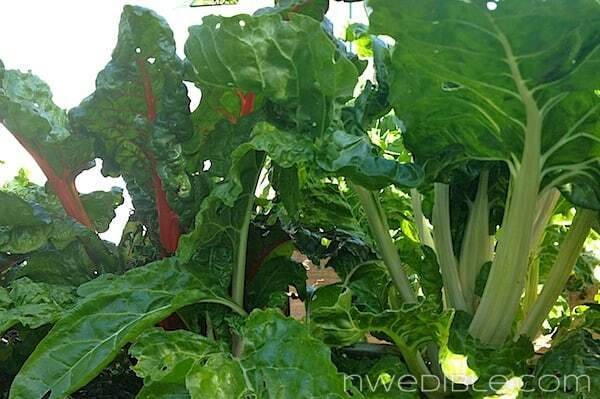 I plan on trying the red russian chard in my fall garden. It’ll be interesting to see if It will last as many years as my chard. I mentioned earlier that I’d planted a mixed hugel (tomatoes, squashes, blackberries and beans) under the edge of a pecan for afternoon shade–well, we had a short-lived but intense thunderstorm, with a touch of hail, last week and the wonderful pecan protected my baby plants. I made sure to thank it adequately!! What a wonderful blog full of great tips and information on raising veggies. I appreciated this post and look forward to future posts.